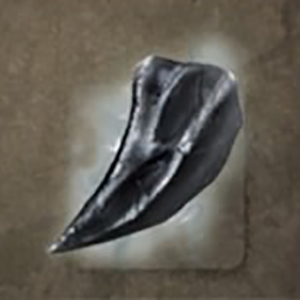 Gargantuan Tailbone is a Smithing Material in Nioh. "An enormous jet-black bone. Judging from the shape, this is likely a tail bone. Long after its owner perished, this bone continues to sap surrounding life energy, and if a child or one of weak disposition were to approach it, they would be overcome with nausea."